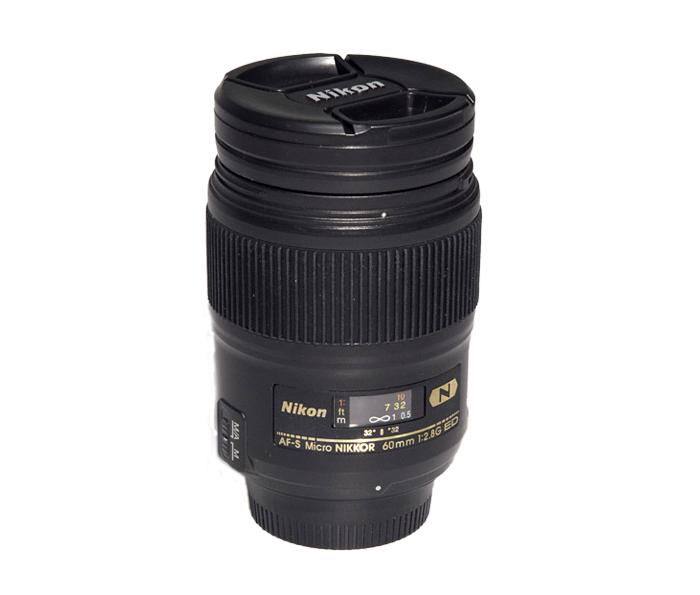 The NTUM002 NIKKOR Tumbler Micro 60 is a tumbler that can hold up to 7.8 ounces of hot or cold liquids. The interior is stainless steel. The tumbler comes with a screw on lid (can not drink through the lid) as well as a coaster and pouch. It is designed to look like a Nikon 60mm Micro-NIKKOR lens. The Tumbler is not dishwasher safe.